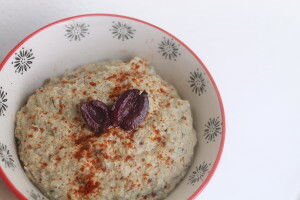 The first time I made baba ghanoush I was in the south of France. I was working on a porc noir farm, and the midsummer heat blistered both my skin and the soil. 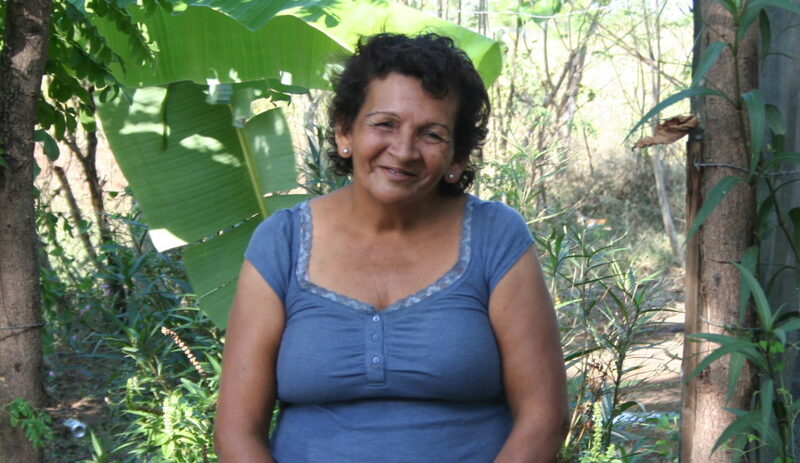 Every morning I rose before the sun and smiled as her rosy cheeks yawned their way over the rolling hills of the Gers. I worked hard that summer, and the bounty of produce that we coaxed out of the earth more than made our sore muscles worth it. Ironically, the beautiful gems that we so happily harvested ended up making even more work for us post-picking. The weather happened to be particularly good that season, and we found ourselves with more kilos of courgettes than we knew what to do with. Every day after working out in the fields, we would collect in the kitchen to craft menus of courgette dishes: gateaux aux courgettes, pain aux courgettes, soupe de courgette, omelette aux courgettes, courgette farcie…the list goes on. Yet after eating courgettes for breakfast, lunch, and dinner, there was one dish that always stuck out to me. A young Frenchwoman named Azalée taught me how to make caviar de courgettes. She was appalled that we don’t make it in America and giggled when I asked if it was made with fish eggs. It’s not. As I watched her cook, I noted that her recipe was rather similar to the way one makes baba ghanoush. 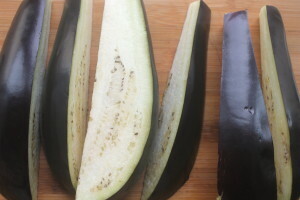 She had never heard of it and I explained that it was almost the same technique; one simply replaces courgettes with eggplant and adds some mediterranean spices. Since that magical summer, I’ve made baba ghanoush frequently as it can be expensive to buy in the store and it’s really very easy to whip up and keep in the fridge all week. Eggplant, tahini, and garlic are great sources of antioxidants, eggplants from anthocyanins in their skin and tahini from the phenolic compounds called lignans found in sesame seeds. 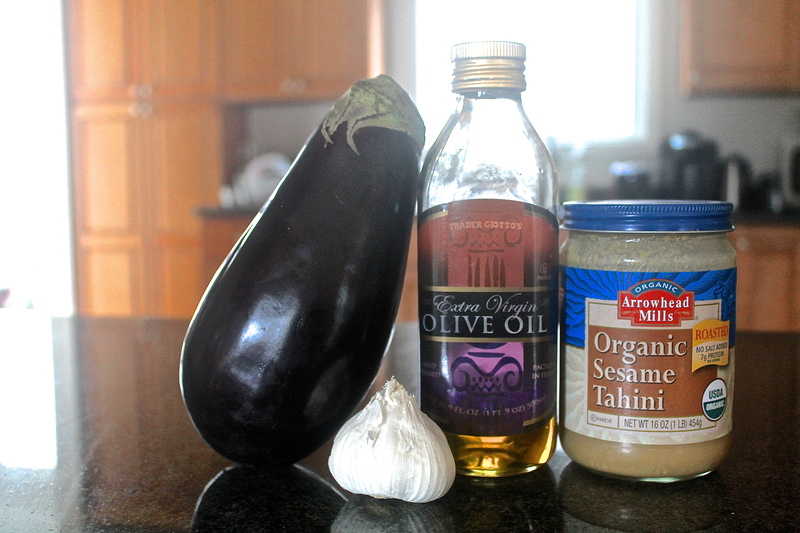 Tahini is also a source of vitamin E, B-6, and iron! 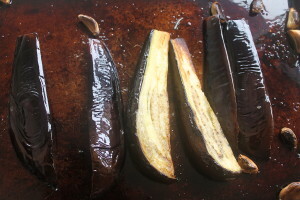 Turn on oven to 400 F. Slice eggplant into sixths lengthwise, and crush/peel garlic. Place both on a baking sheet and douse generously with oil. 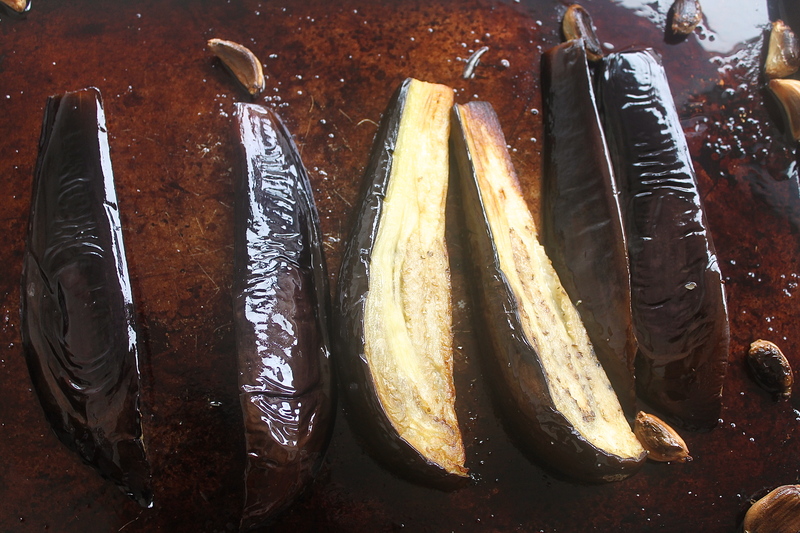 Swirl the eggplant sticks in the oil to coat. You want them to soak up as much as possible as this will increase how tender they become, thus making a richer spread. Bake for 10 minutes, turning over for the last five. You want everything to be borderline blackened to conjure smokey undertones. Once cooked combine all ingredients in a medium size bowl (including the extra oil from baking), and blend using an immersion blender. If you don’t have one of these, you can use a regular blender as well. If it’s not blending easily, add more oil until it does. Garnish with smoked paprika, olives, or toasted pine nuts and enjoy!! 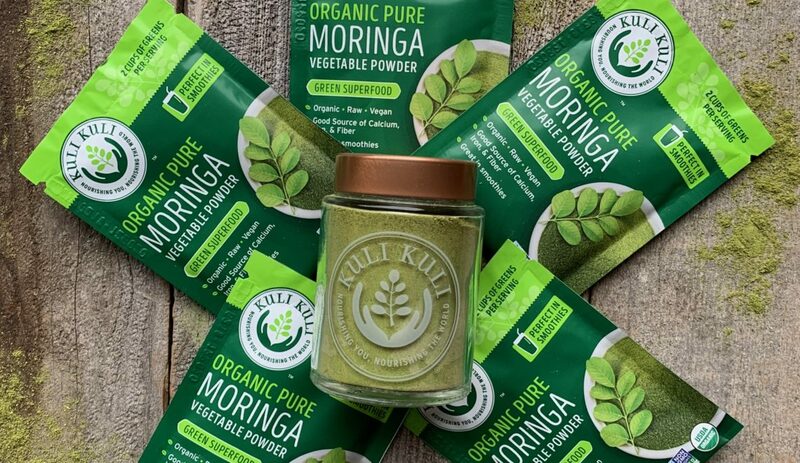 Great on sandwiches, in wraps, or as a snack with carrot sticks or crackers! McGee, Harold. On Food and Cooking. New York: Scribner, 2004. Print.